A new venture for 2018: we have purchased eight Rhea, four greys and four whites with the intention of trying our hand at breeding them in 2020 (once they are sexually mature). 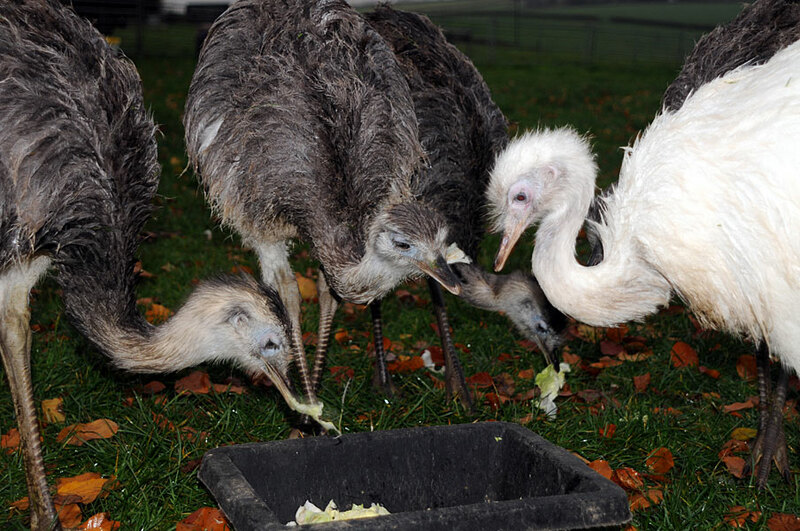 Rhea are a great addition to a smallholding as they eat weeds, as well as grass, and in keeping with other ratites, it is 'dad' who incubates the eggs and raises the chicks. We look forward to a fascinating journey with them! !